Apple may have launched an iPhone 5C last week but it soon became clear that the C did not stand for 'cheap'. So what about the "budget iPhone" that so many people were sure was on its way? Nothing. It's set to maintain mythical status forever, by the sounds of things. Speaking to Business Week on the matter, CEO Tim Cook said, "There's always a large junk part of the market. We're not in the junk business." "There's a segment of the market that really wants a product that does a lot for them, and I want to compete like crazy for those customers," he added. "I'm not going to lose sleep over that other market, because it's just now who we are." 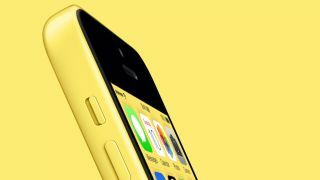 If Cook had just said all this pre-iPhone 5C, it could have saved us all a lot of heartache. Want to know what we made of the colourful new iPhone? Check out our iPhone 5C review now.